Jared Unzipped: How Much Caffeine Is In A Cup Of Tea? How Much Caffeine Is In A Cup Of Tea? Well, the answer is surprising, but it'll all make sense by the time I finish explaining it. When measured in their dry form, tea leaves actually contain more caffeine per gram than coffee grounds. And yet, it takes many less leaves to produce a single cup of tea. If you were to make an 8 ounce cup of tea, you would use approximately 2 grams of tea leaves to steep in the water. For the same size cup of coffee, you would need 10 grams of coffee grounds. As such, the increased supply of coffee grounds means more caffeine is brewed into the beverage. The final tally? That 8 ounce cup of tea has approximately 40 milligrams of caffeine. The 8 ounce cup of coffee has roughly 105 milligrams of caffeine. That's nearly three times as much! Coffee wins the caffeine race by a landslide. Now, let's take this one step farther. The amount of caffeine in a cup of tea is also influenced by a few different factors. The location of the leaves on a tea plant helps to determine their caffeine content; younger leaves near the top have more. Also, steeping a tea bag longer in a cup of hot water also releases more caffeine. 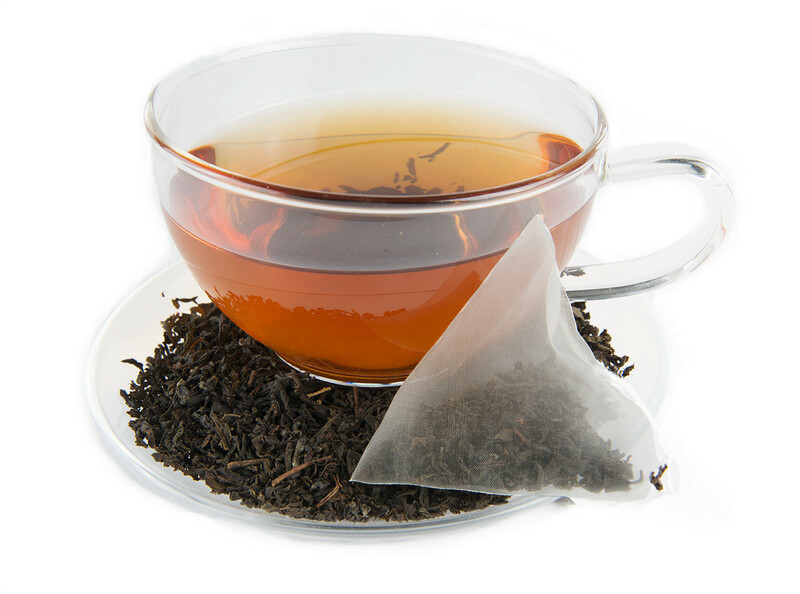 Generally, you should steep a tea bag for at least four to five minutes for optimum flavor. Finally, the type of tea you use also dictates how much caffeine you take in. White and green teas have less caffeine. Oolong tea has a moderate amount. Black tea has the most. The chemical structure of Caffeine. Also take note -- the antioxidants in tea slow down the caffeine absorption process in your body. As such, the caffeine is used at a much more gradual rate, meaning you don't experience an energy crash at the end. The caffeine will stay with you longer and have a more prolonged, less severe effect. And there you have it! All you would ever want to know about caffeine in relation to tea. Doesn't this make you want to have a cup? I know I do! BROAD IN SCOPE FOR SMART READERS! With this blog, I like to discuss a multitude of subjects, including but not limited to: '80s & '90s nostalgia, cinema, music, science, art, beer, food, travel, hobbies, old toys, video games, social and political topics... and even my family. I'm also an angry man in recovery. This is my little corner of the internet where I produce content for your enjoyment (and mine). Legal Disclaimer - This website contains parody and represents my opinions only. Nothing posted here is intended as fact, nor should it be taken as such. Read at your own risk. Random Suds Review: Wells Banana Bread Beer. Crystal's Tips For Improving Baseball. When I Was Really Fat: Ramen Noodles. A Visit From Horace's Duskywing. 5 Tips For Being A Real American! The Upside To A Lost Cause. Five Surprising Uses For Rubber Bands. My Weather Station (KNCWHITS4) - Broadcasting Worldwide! Recent reviews by Jared M.
Why aren't you reading this?! Dino Drac’s April Funpack is here! Crystal Pepsi is back. I bought it, I drank it, I reviewed it.